If you are like me and can eat an entire burger with fries and still have room for dessert, then I have the perfect place for you. It’s time to ditch that meal plan at Gordon’s and grab a friend or two for a perfect dinner night. You won’t even need your parents to get the bill this time because it is something you can afford. And no, I am not talking about the McDonalds dollar menu. I am talking about the newly renovated Camp Trippalindee above the Graduate hotel. Camp Trippalindee is like the getaway cabin that you never had growing up. When you get off that elevator on the seventh floor, you are immersed in a warm and cozy feel. The dining room is filled with mismatched tables and chairs with knickknacks covering the wooden panel walls. It is like you are visiting Grandma’s house. You get this feeling that Camp Trippalindee has been there since 1849 when the first students celebrated Founder’s Day. Besides the cool cabin feel of Camp Trippalindee, their menu is simple and filled with delicious camp foods. My favorite thing to get there is their DBL. cheeseburger with a side of their crinkle cut french fries. But hang on because that is not all. You know I saved room for dessert and not just any basic dessert. 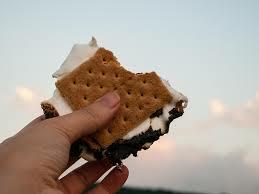 It’s time to head up to the rooftop to enjoy the stars above while making some tasty s’more’s. This is one of my favorite things about Camp Trippalindee. You can escape your hectic school life and trade it in for a chill relax night with friends. So let’s celebrate summer nights the right way on Langdon Street at Camp Trippalindee.